A different type of white collar worker. That is the main takeaway from a New York Times investigation published Saturday into what it's like to work at Amazon. The lengthy article reverberates with tales from former and current "Amazonians," as workers at the online retailer are called. According to the Times, the company restricts communication between employees and the media; however, some spoke with the Times anonymously. The Times said it spoke to more than 100 current and former employees. The testimonies paint a portrait of a workforce, headed by CEO Jeff Bezos, in which workers are subjected to working conditions that leave many feeling stressed and burned out. The culture was described by one former employee as "purposeful Darwinism." Amazon did not respond to CNNMoney's request for comment, but Amazon spokespeople did respond to many of the article's findings. In a recruiting video cited in the article, one young woman explains: "You either fit here or you don't. You love it or you don't. There is no middle ground." Bezos reportedly promotes this all-or-nothing attitude. "You can work long, hard or smart, but at Amazon.com you can't choose two out of three," he wrote in a 1997 letter to shareholders quoted by the Times. Former employees told the Times that Amazon relies on a system of anonymous evaluations that can be made through the company phone directory. It's called the Anytime Feedback Tool, the Times reported. Because of yearly culling of low-performers, employees reportedly learn to make informal pacts to collectively leave negative critiques of certain coworkers and positive feedback of each other. One employee, Elizabeth Willet, said that after she had a child she arranged with her boss to come in at 7 a.m. and leave at 4:30 p.m. She told the Times her coworkers criticized her over the phone feedback system for leaving too soon, and she was eventually told by her boss that he couldn't defend her if her peers said she wasn't performing. The Times said Willet left the company after working for Amazon for just over a year. Others in the Times story said employees were encouraged to debate and criticize coworkers in such a way that the work environment became hostile. Bo Olson, a former book marketing employee, said it was commonplace to see coworkers crying. "You walk out of a conference room and you'll see a grown man covering his face," he said. "Nearly every person I worked with, I saw cry at their desk." Another employee, Chris Brucia, said he was berated for a half-hour about his shortcomings and given a scathing review by his boss during a conversation in which he was promoted. According to accounts from former Amazon employees, lengthy conference calls on holidays, working at night and on weekends from home, and criticism for not being reachable on vacation were standard. A marketing employee who worked for Amazon for nine years, Noelle Barnes, told the Times this was a saying on the campus: "Amazon is where overachievers go to feel bad about themselves." Another employee said, "If you're a good Amazonian, you become an Amabot." Amazon was described as an environment where work-life balance was often difficult to achieve. 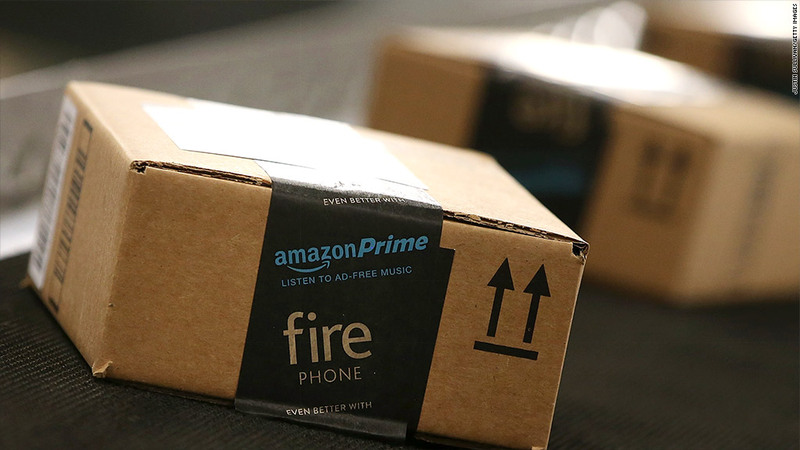 Two Amazon employees alleged that Amazon was inconsiderate and demanding after personal hardships by implying that their personal lives were compromising work performance. A spokesperson for Amazon, Craig Berman, told the Times that those anecdotes were "not our policy or practice" and that if the company was made aware of such callous reactions, it would "take swift action to correct it."